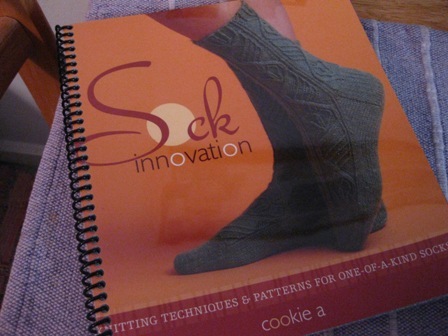 Here’s another Cookie A pattern….Wanida from the Sock Innovation. Let’s see how long these take. It’s super easy so far. There isn’t a pattern from her that I’ve ever had a problem with. I did have a problem with the book though. But not anymore. I highly recommend spiral binding. So much convenience for so little money. Just $6 at Staples. Enough, the sock beckons and Kira is taking a nap. Great idea on the spiral. 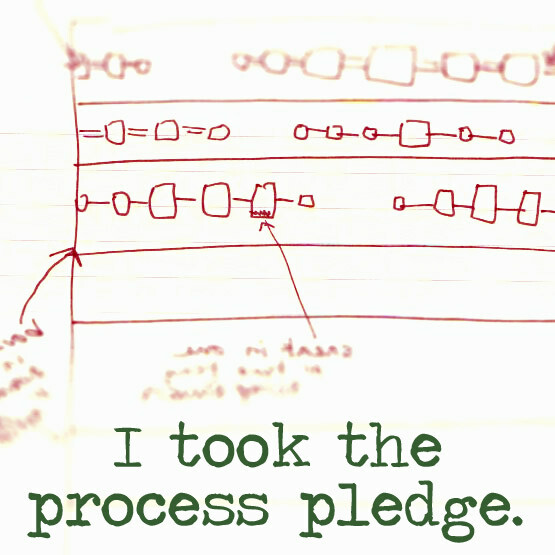 I used to do that with my staple bound piano books, because they’d fall apart. 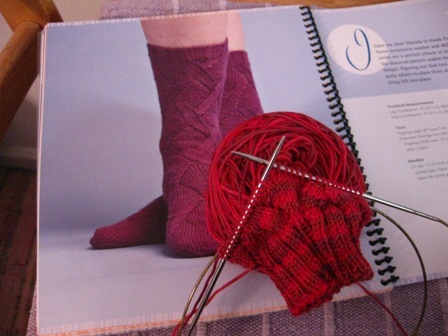 Once I sharpen up my sock knitting skills I will tackle the book. In the meantime, there is Baudelaire or Monkey since both are toe-up (there is someone who converted the Monkey pattern Yay)! on July 15, 2009 at 6:35 am | Reply Kim D.
I’ve been working away on another pair of her lovely socks too! They really are delicious! I really need to try that spiral binding thingie. Your such a clever gal!